Spring is one of the most popular times for a tropical vacation! Everyone gets a little sick of the winter weather starting in February and everyone heads for somewhere warm! Whether it be a spring break vacation or a fun little getaway, we have your vacation must haves here at Garbarini. Below is a list of our favorite vacation pieces. Come in and let us know what you think! This denim shirt is the perfect top for a vacation adventure or a meal in a cute little tropical town. It pairs well with white shorts or pants. It is made with a nice light denim so you won’t be too warm but great for a chillier morning walk. This top has a bit of a tailored look and hits right at the hip bone to ensure that it’s a flattering yet functional and comfortable piece. Need a swim suit for some water time on your vacation? This Camilla rouched side, v-neck one piece is perfect for all of your water adventures! It’s super stylish but will stay in place for maybe some jet skiing! It’s a great unique piece that’s colorful and eye catching. This is a great swimsuit for all ages. It’s cute in a way that isn’t too flashy. Totes are essential for a vacation! 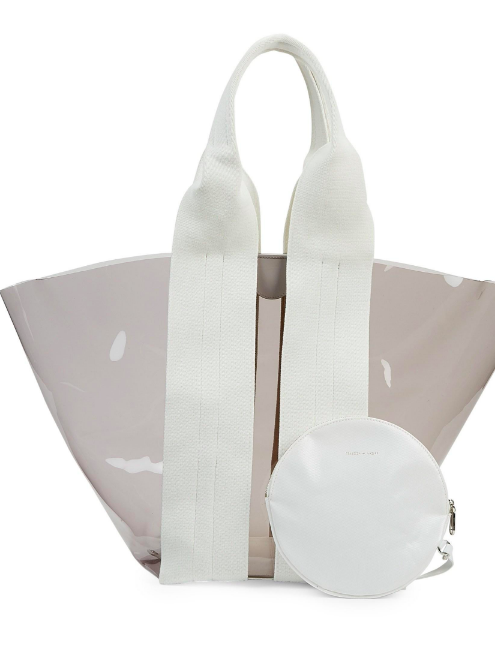 This Rebecca Minkoff Fan Tote in Smoke is fashionable yet functional. It’s a see through bag so you can keep an eye on all of your beach accessories while being trendy. With the see through material it makes this bag extremely easy to clean. If you have a sunscreen spill inside the bag, you don’t have to worry about any fabric being ruined. Ahhh shoes! One of our favorite vacation must haves. We love this Zadig & Voltaire sandal. They have these super cute buckles with turquoise metal detailing. The white leather makes them even better for a vacation shoe. You could easily pair these with a shorts outfit, or a dress. 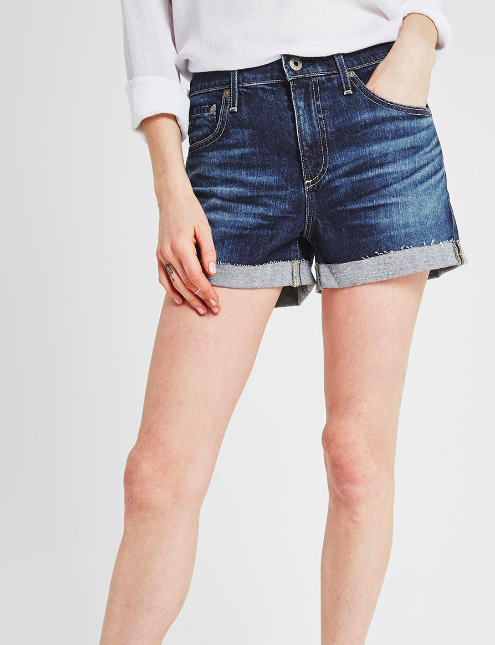 Everyone needs a good pair of denim shorts for vacation. Shorts are the easiest pants to wear when it’s hot out and these are the perfect addition to your vacation must haves list. These shorts have a flattering high waist with a boyfriend cut. They’re designed to have a comfortable stretchy fit while looking very fashion forward. Since they’re a denim short, they match with pretty much everything! On vacation, everyone needs a nicer dress for an evening out at dinner or for those Instagramable moments on the beach. This is the perfect beachy dress for your vacation! It’s made out of 100% linen so it’s flowy and breathable for the warmer weather! Wrap dresses are super flattering as well and looks good on almost everyone. Come into Garbarini today and see if you love this style as much as we do! Tropical vacations are the best time for a straw hat! It’s breathable and goes great with almost any vacation attire. Janessa Leone makes a gorgeous straw hat that packs wonderfully in a suitcase and doesn’t get messed up if it crushed. 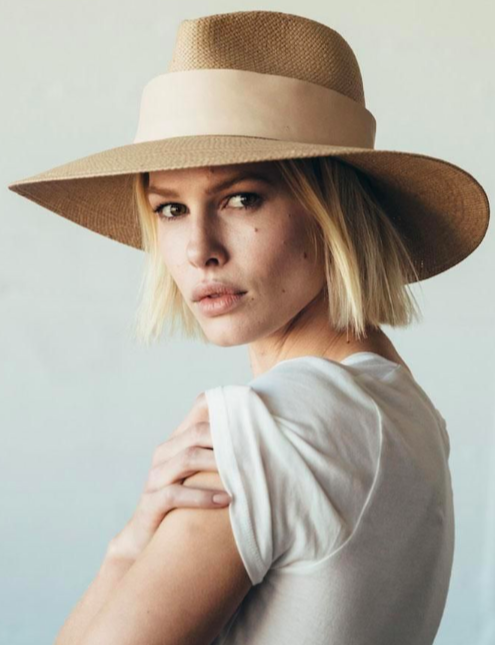 Hats are so in this Spring season and we are LOVING it because who has time to fix a bad hair day on vacation? 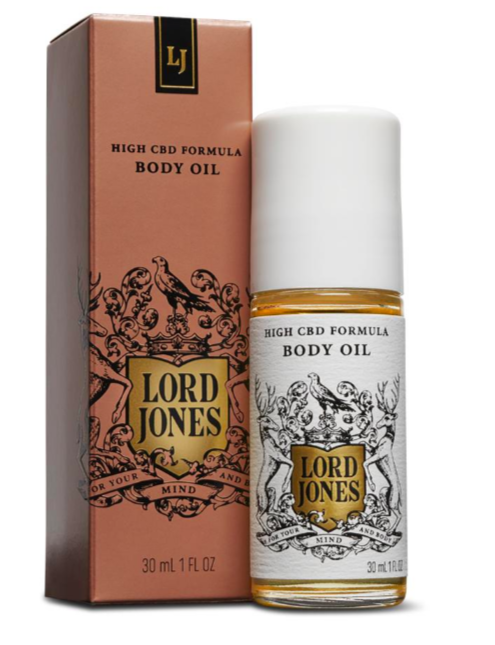 Made from the finest ingredients including organic avocado, jojoba and safflower oils to deliver a soothing, deeply penetrating body oil that will leave your skin looking radiant and aglow. Perfect vibes for an after sun rub down on vacation! Warm fragrance rich with evergreen wrapped in light citrus notes of bergamot and orange to excite the senses and calm the nerves. All with the healing abilities of high CBD content and no THC or its psychoactive effects! Make a trip into Garbarini! Did you enjoy all of our vacation must haves? We do too! Everything featured in this blog is available today at Garbarini. One of our wonderful stylists are available on hand to help you make any clothing decision. We have plenty of vacation attire options in store on top of what is listed here. We hope to see you in Garbarini soon!